This photograph was taken off a winding, one-way, gravel road in Yellowstone National Park. Off the beaten path. 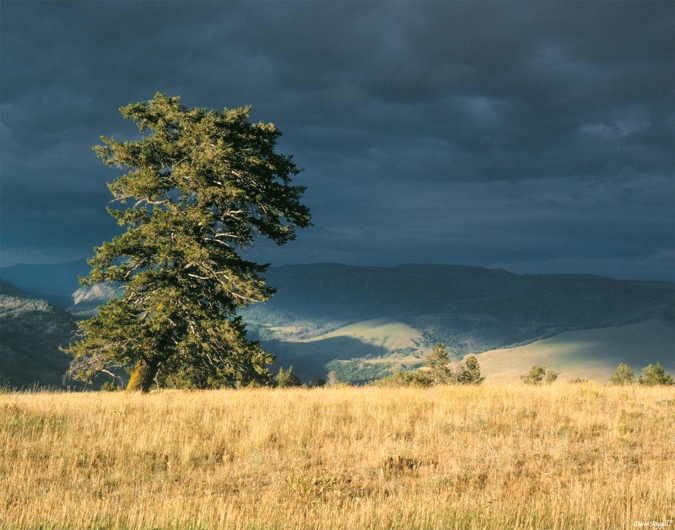 A thunderstorm was rolling in and created a beautiful ribbon of light in the high alpine meadow.